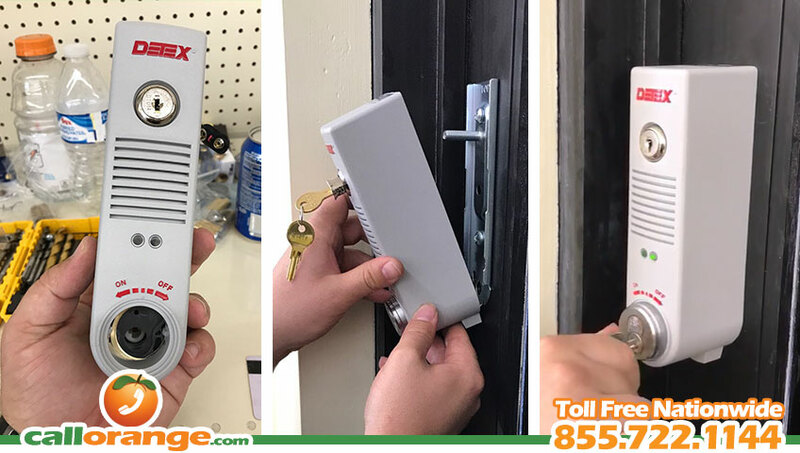 Need to add an alarm to an exit door without the complications and cost of installing an entire alarm security system? Detex makes an exit door, surface mounted alarm that can be quickly and affordable installed. on just about any door. The battery powered device activates a 100dB alarm when someone makes an unauthorized exit. 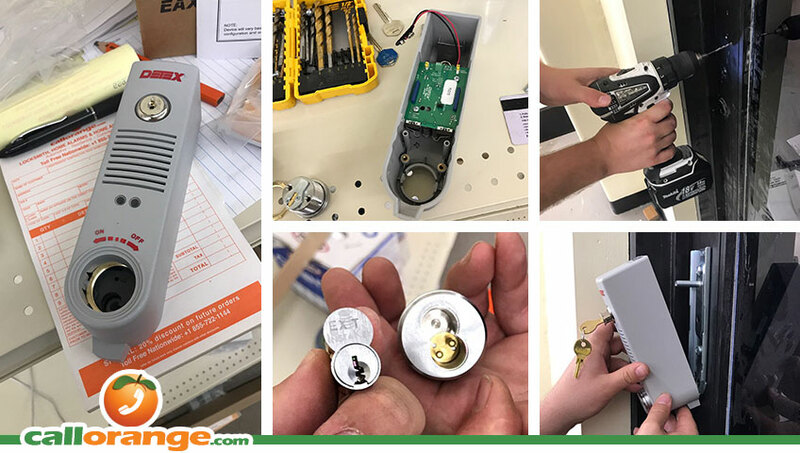 Depending on your requirements, CallOrange technicians can install a standard battery powered door alarm or, for outside doors, we can install the Detex EAX-500W Weatherized Exit Alarm for protection from rain, snow and inclement weather. Watch the video above to see how the exit door alarm works. Don’t wait any longer, improve your business security now! CallOrange technicians are available 24 hours a day, seven days a week. Out expert mobile technicians provide same-day service and can be at your location within minutes of calling. So call now!